Talk about versatility. 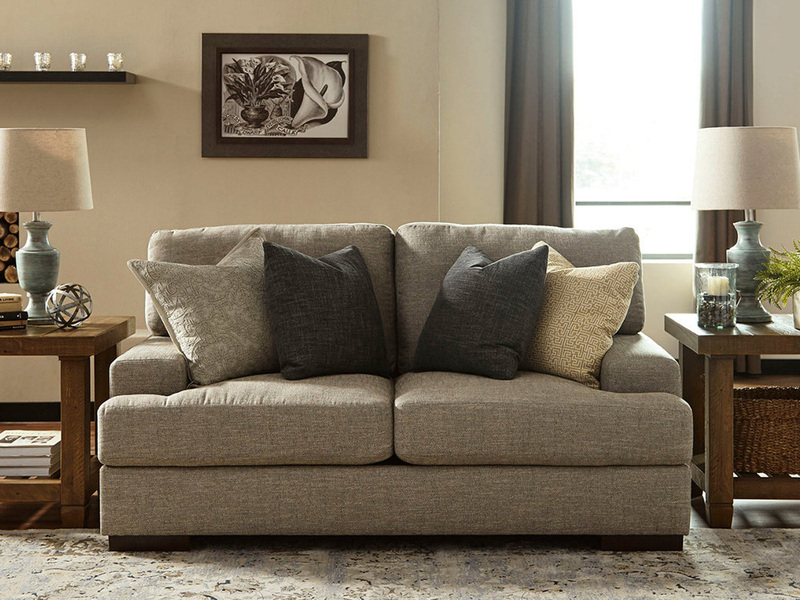 Elements including loose back cushions and flattering low-track arms give this loveseat a sense of casual coolness-while a richly neutral herringbone upholstery and t-cushion design are so classic. Factor added pleasure of the UltraPlush seating- designed to stay loftier longer- and you have a signature piece sure to work, even as trend come and go. •	2 layers of cushioned comfort: high-density foam core encased in thick polyfill.